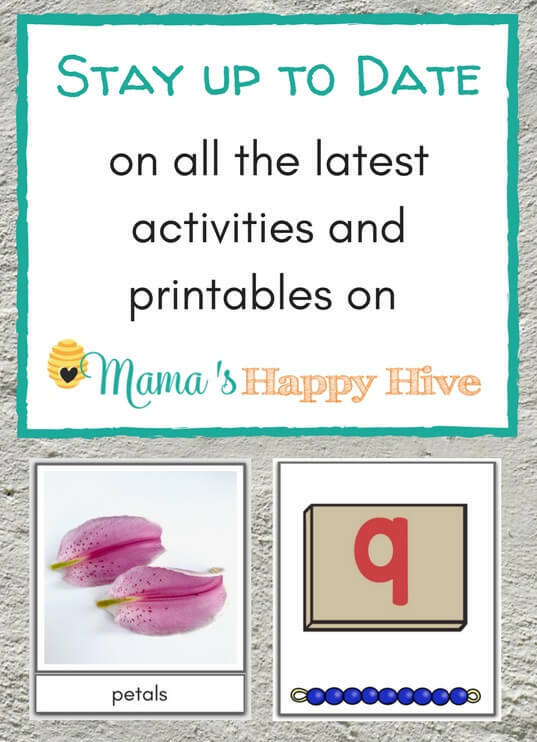 Thanks for joining our day here on Mama's Happy Hive. 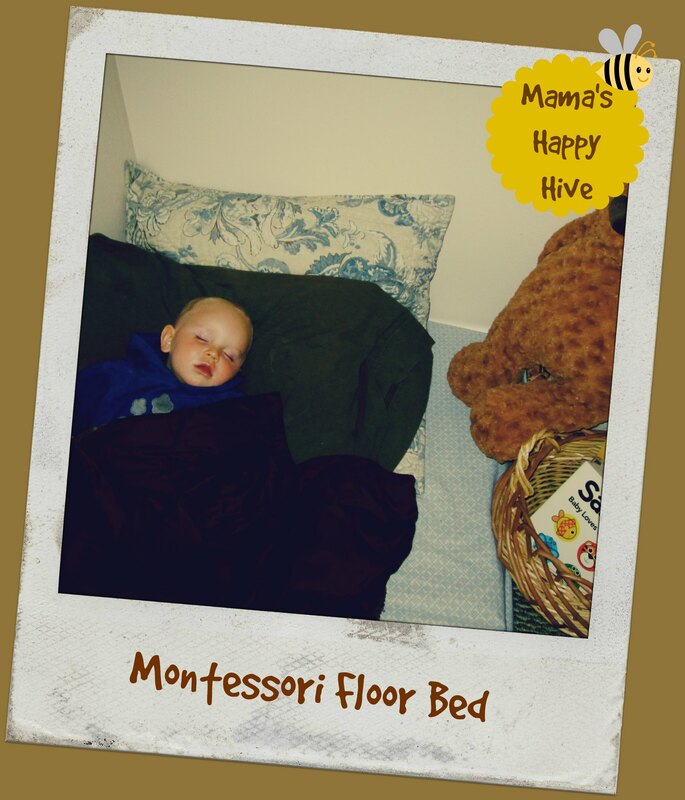 We have fun with our Montessori routine and love the floor bed at this fun age of 16 months. I hope you can find some inspiration for a routine in your home. Little Bee's day starts around 6:30 am. He wakes up happy and scampers off his floor bed to play with his educational toys displayed on his Montessori shelves. This morning I found Little Bee playing with his shape house and a fun "slide-out the pages" book. 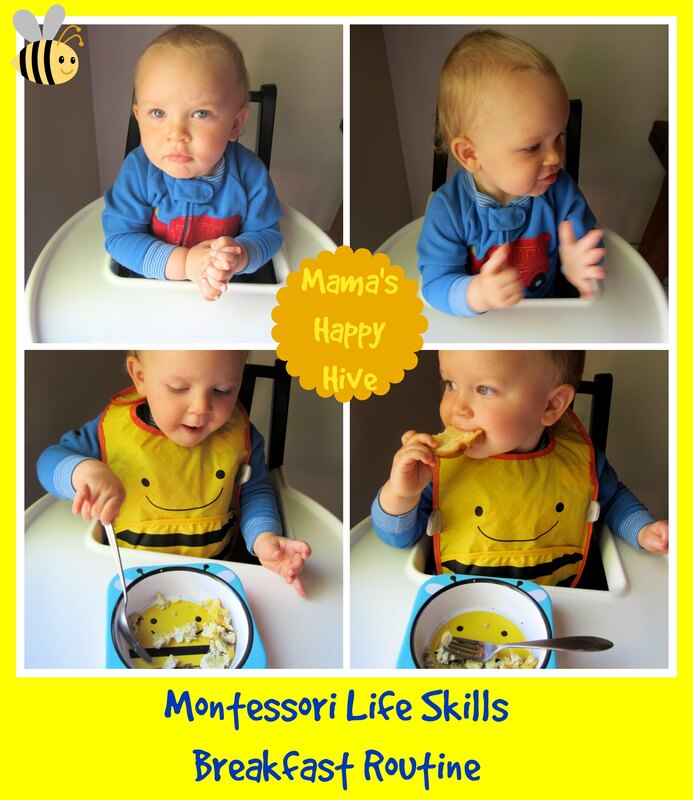 He is developing his fine motor skills with both of these activities. 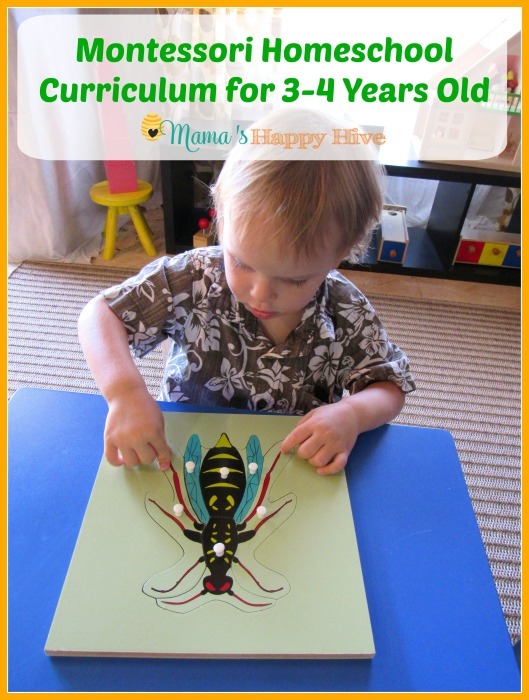 Little Bee entertains himself in the mornings by playing with his displayed educational toys for at least 30 minutes. This allows mommy and daddy some wake-up time. After breakfast, we have clean-up time! 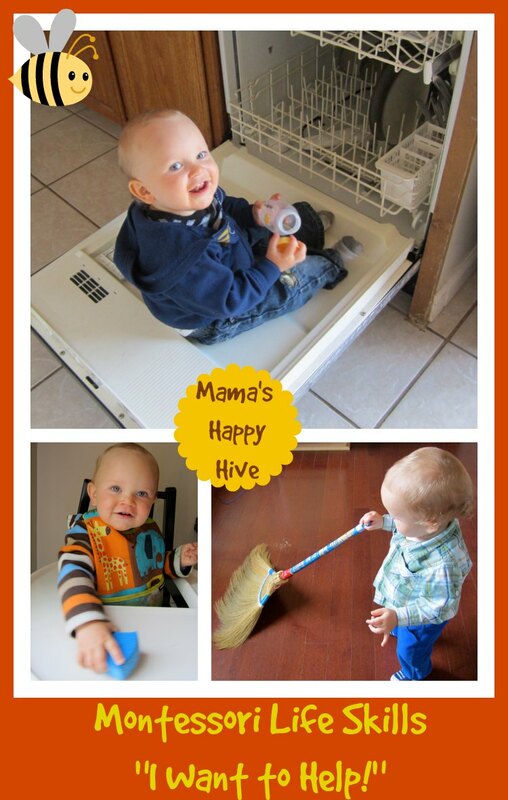 Little Bee loves to help with loading the dishwasher, cleaning up his tray, and sweeping the floor. After breakfast and clean-up time, Little Bee helps to put his clothes on for the day. 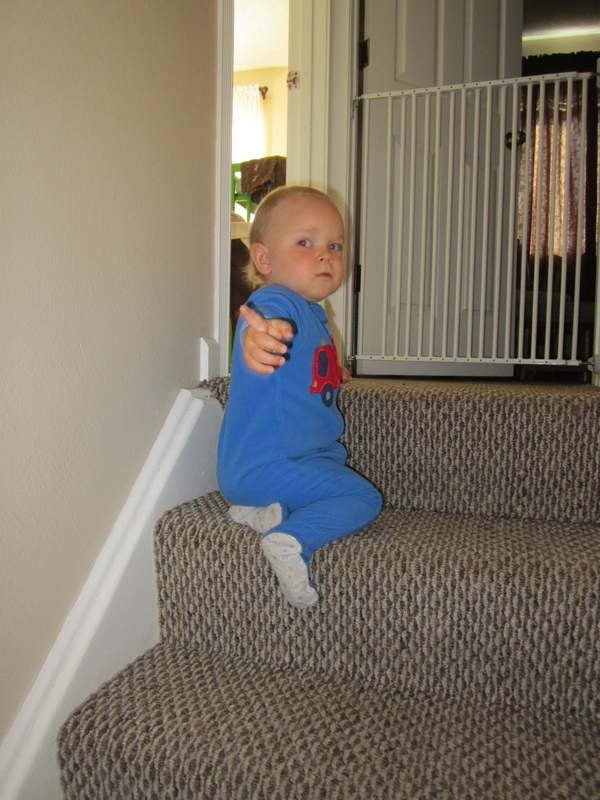 He can help by putting his arms into his sleeves, picking up his legs to put into his pants, and he LOVES to help put his socks on. By about 9 am, we are ready for song and story time. The whole family participates by playing an instrument. Little Bee loves to play the cymbals while "Da-Da" plays the guitar. Da-Da prays with Little Bee before they read a Bible story. 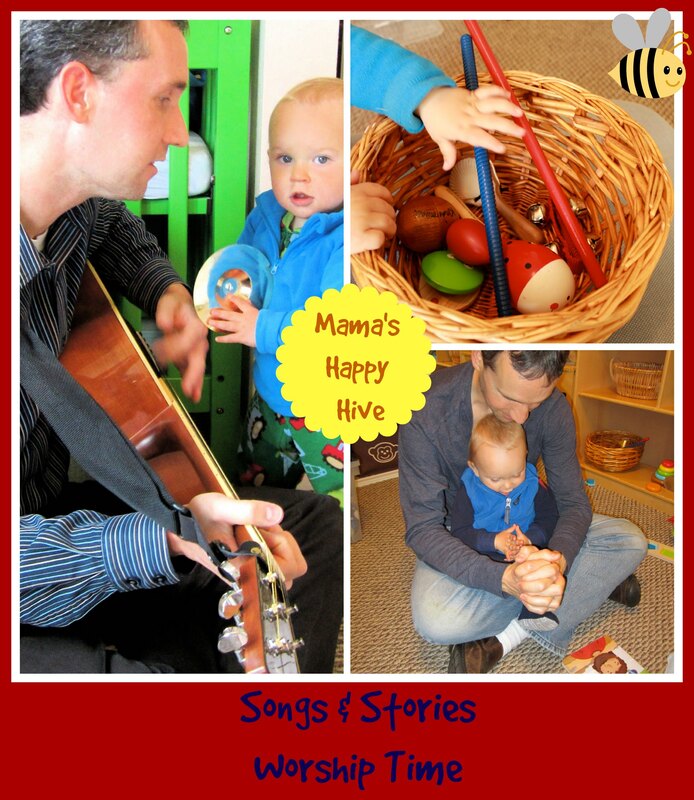 This song and story time is a big hit with Little Bee. 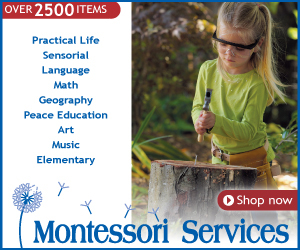 To learn more on how we use our worship shelves, please visit Christian Montessori Shelves. After song & story time, Da-Da is off to work. We sing him a good-bye song and can't wait to see him come home in the evening! 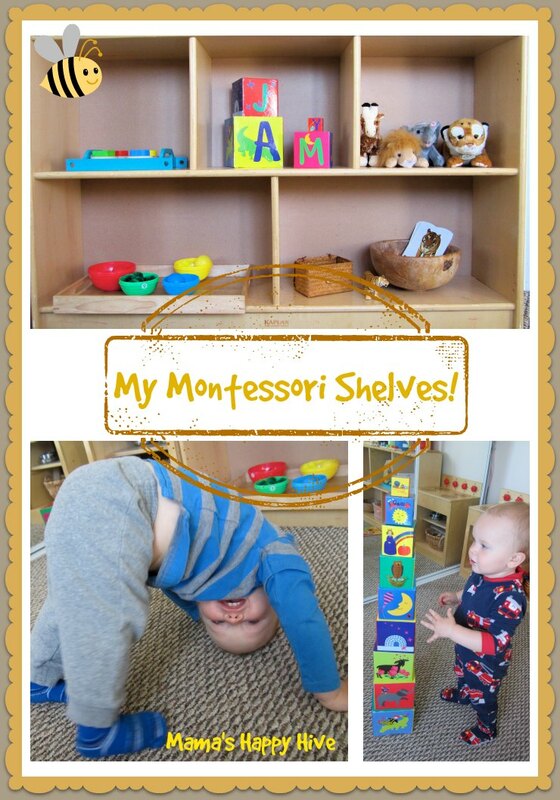 Little Bee likes to play with his Montessori shelves for about an hour. 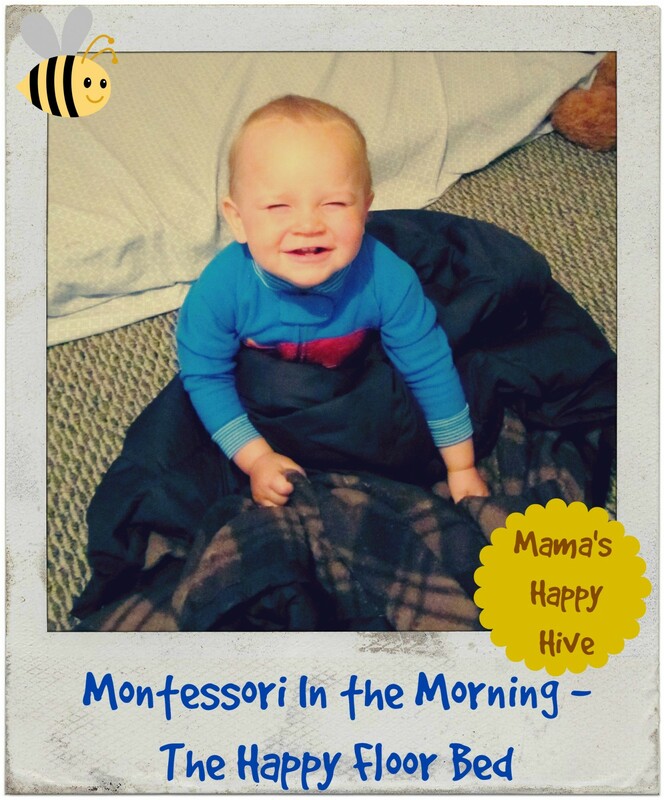 Some mornings Ma-Ma has a planned Montessori activity for Little Bee. View some of the activities we have done here. Around 11 am, Little Bee is tuckered out and takes a nap for a couple of hours. Between 1:30-2 pm, Little Bee is awake and ready to eat lunch. He enjoys finger foods that allow him to eat his food independently. He loves to nibble on a corn tortilla stuffed with beans and salsa. He also has several frozen lima beans and corn pieces to munch on. He is teething, so the frozen food feels good on his sore gums. After lunch, Little Bee is off to explore. 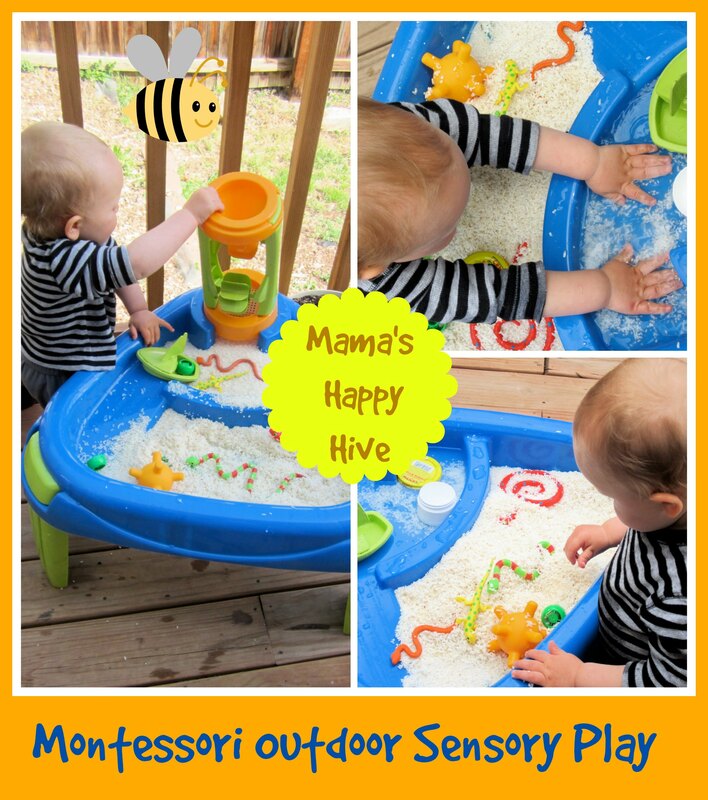 In the pictures below, Little Bee loves to play on the back deck in his sensory bin. This is a perfect summer activity and keeps him busy for hours. All afternoon, Little Bee finds fun stuff to do all over the house. 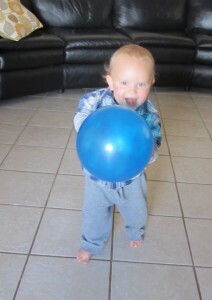 Lately, he has been practicing his walking skills while holding something in his arms. This is a new challenge for Little Bee! He also likes to hold onto an object and climb the stairs. Somehow, this carrying challenge makes it more enjoyable for Little Bee. On the nice sunny days, we take a walk to the park. Little Bee loves to play in the grass and swing on the swings. At 6 pm, we take time to eat dinner and start our bedtime routine. 6:30 pm is bath time for Little Bee. He likes to practice stacking his cups in the tub. Little Bee also has fun brushing his teeth. I have found the best way for Little Bee to actually allow me to brush his teeth is by making it fun. 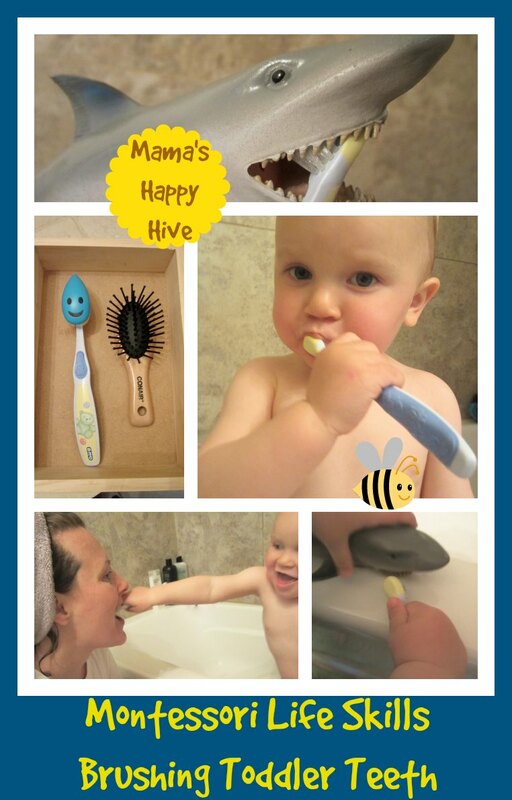 Little Bee thinks that if Mama gets to brush his teeth that he can also brush her teeth! And the shark requires a good tooth brushing as well! I hope you enjoyed your visit to our Montessori day. 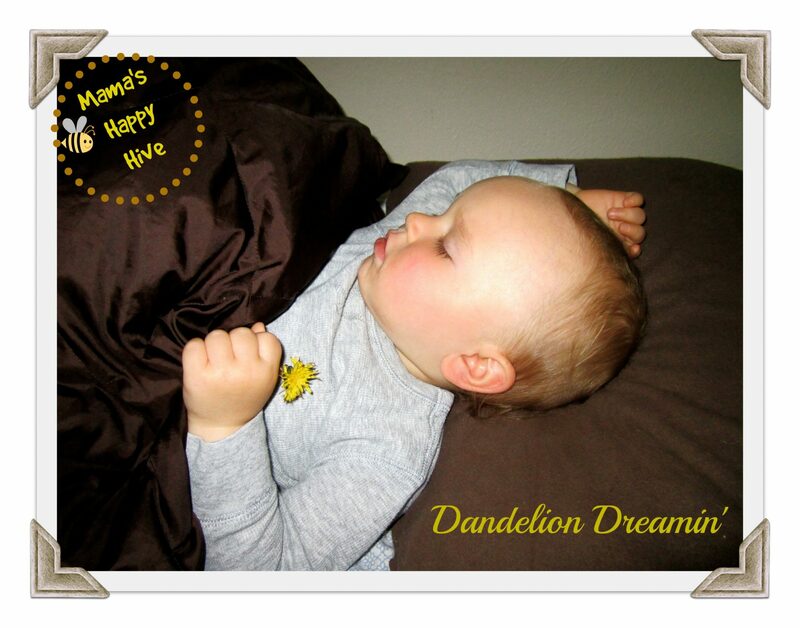 Do you have a daily routine that works well for you and your little one(s)? I would love to hear your stories in the comment section! 🙂 Thanks for sharing. This is so cute! I love it. 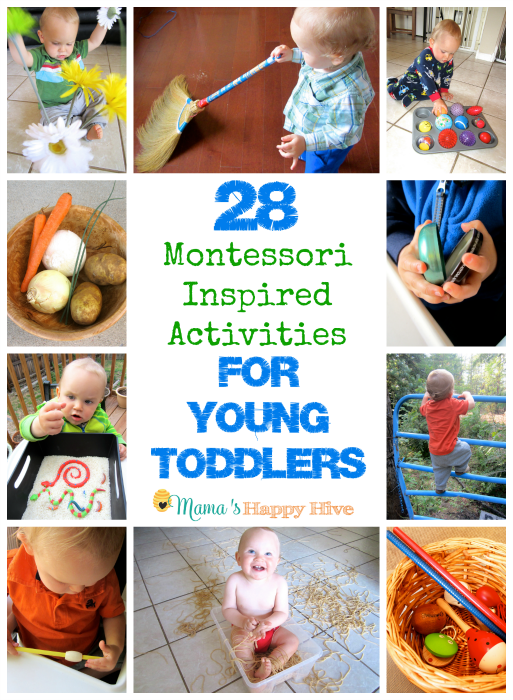 Most toddlers are happiest when they follow a schedule throughout the day. 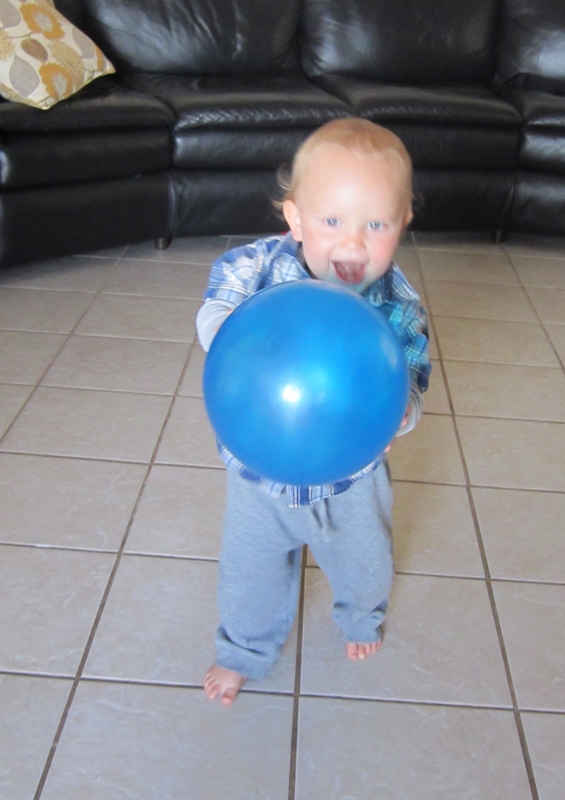 Your son appears to be very happy within his learning environment you have created knowing what to expect. Thanks! Love you Season 🙂 Hugs! Thanks for alerting me about my “like” button. I will check into it. Thank you for sharing! I thought it was you who had mentioned you did a worship time with your son and I thought it was a lovely idea. I’d love it if you shared more about the books, songs, music, length of time, etc. Perhaps a new post! 🙂 It was nice reading about your typical day. My daughter also eats lunch quite late. Do you have a morning snack at all? And thank you for the tips for teeth brushing. It’s been a struggle for us lately. I think it has to do with molars coming in and her gums are quite sensitive. That is a post I plan to blog about… regarding our worship time! 🙂 I am so glad you enjoyed it. 🙂 Thank you. Yes, if Little Bee gets hungry, I give him a snack. Looks like such a happy boy with such an enriching life! Love routine posts! I really enjoyed all the different activity ideas. Pinned! 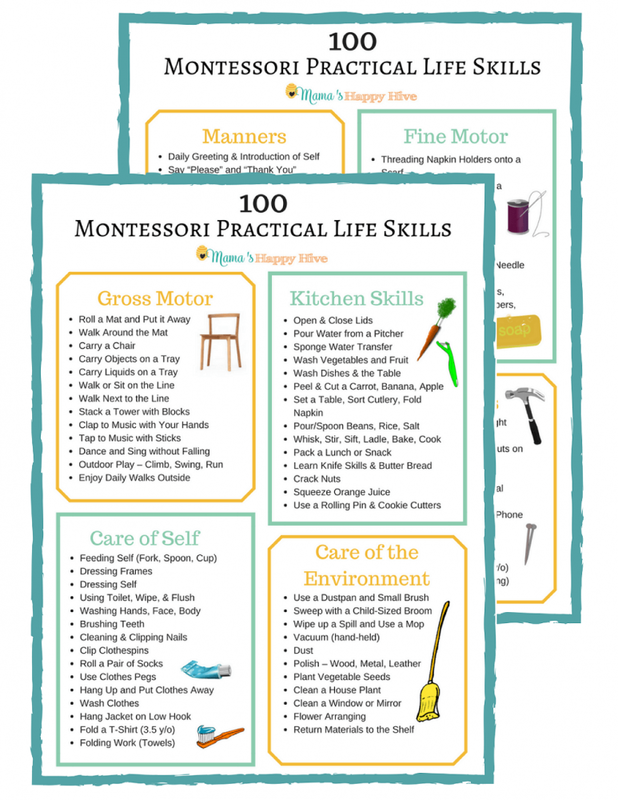 I have been researching Montessori stuff now that I am gearing up for homeschooling. I am finding that I do a lot of it already. When he moves on to his activities do you stay with him or go about what you need to do? I am pretty strict with our schedule because I have found my kids do so much better. Love watching your ideas and have found them helpful for me! I love the fact that he can play on his own and that gives you “wake up” time! My Girly Q is only 7 months old so playing on your own is still a hard concept for her but we are learning! This is great. 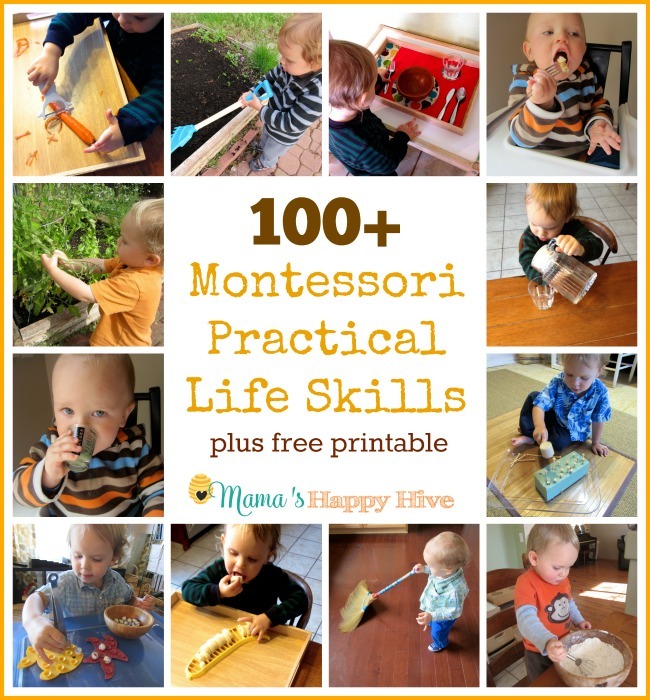 I wish I knew about Montessori stuff when my boys were young. Lovely site! Quick question: is it ok for a 16 month old to have one nap instead of two? Yes! That is fine for a child to have two naps at 16 months of age. 🙂 Every child is different and develops differently. Eventually when your child is ready, he/she will drop the second nap down to one. 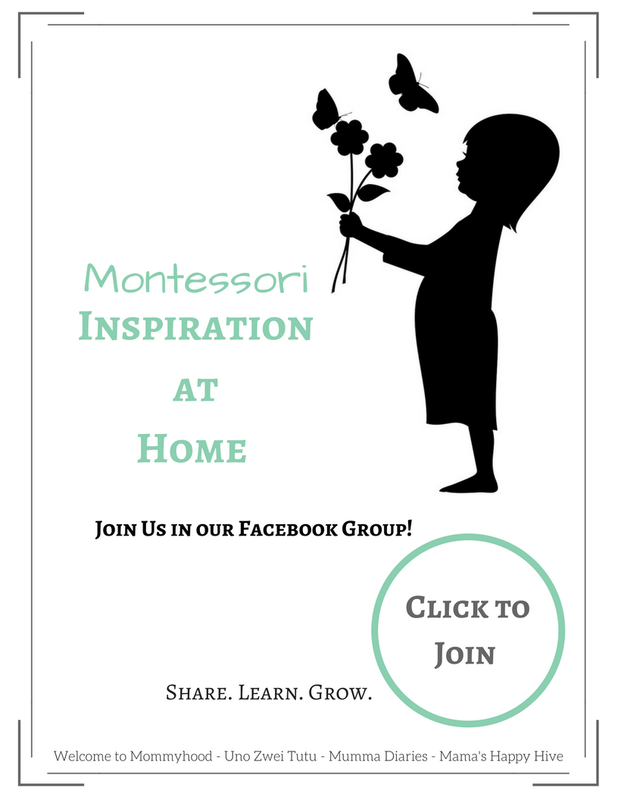 I posted our Montessori routine as an example to give ideas. This routine may not work for your family or for every child. Thanks for asking a great question! I know this is a delayed reply but we’ve been through a lot of transitions the last few months (been in between moving countries and out of our home living out of suitcases for 6 weeks in 3 countries) and then now 6 weeks into our new home but still waiting for our shipment so very bare house and limited toys/activities etx…. Separation anxiety has also peaked and in trying to start setting up a more independent play routine for him. Found your post really impressive and inspiring and your little one is well past this age now but if you had any tips do let me know! Thanks for blessing us with this post and ideas! Love that your little man folds his hand to pray 🙂 in hindsight I wish id tried harder to teach sign language to communicate with us but we had a Chinese nanny in shanghai who didn’t speak English from when he was 6 months to 14 months so never really happened… Re adjusting to our new normal in turkey….. God bless you and your family! Would like to know when do u manage cooking lunch n dinner? I am not a fancy cook. I keep it really really simple during the week. My husband and I cook on Sundays for the week. So that way we just have food we grab and heat up during the week. 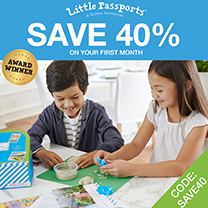 I plan activities for my son a week or two ahead of when I present them to him. 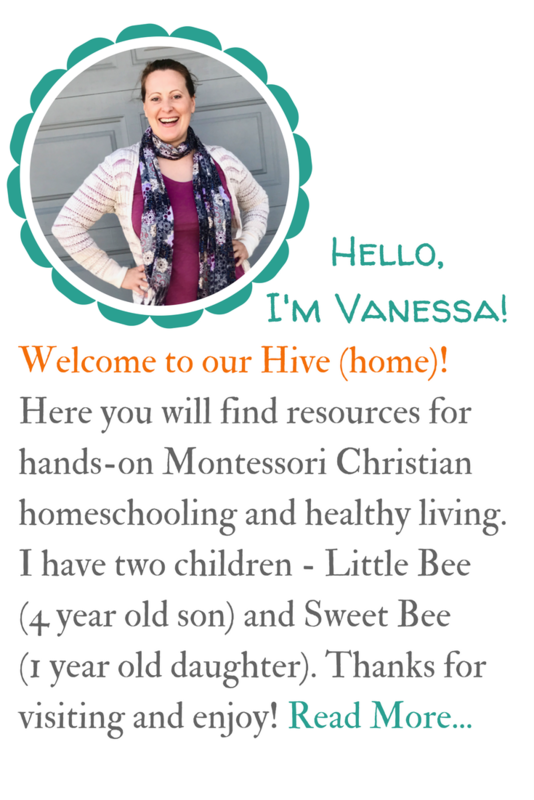 I will be honest and say that now that I have two children (4.5 years old and 16 months old), I don’t do nearly as many activities as I used to do with Little Bee. I feel bad about that because he begs me to do activities with him, but I just don’t have as much time anymore with two children. 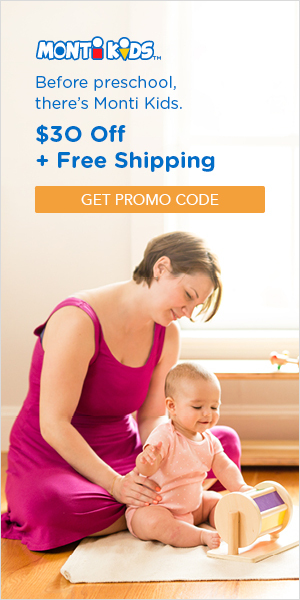 I have an almost 15 month old little girl and I am debating getting a floor bed for her. Her 2 and a half year old brother just got a race car floor bed, which she is obsessed with! However I am wondering how you get them to stay in bed on their own at that age. And do you have to lay there with him until he goes to sleep? With my two and a half year old, he wants me to lay with him until he goes to sleep (although, I don’t always do this). When I do, he usually will wake up crying throughout the night when he realizes I am no longer there. Plus it makes me too sleepy for my evening chores or down time. We are in desperate need for more routine and I am wondering where to get started with this. I have two needy children and I am trying hard to establish routine and independence despite being a SAHM. 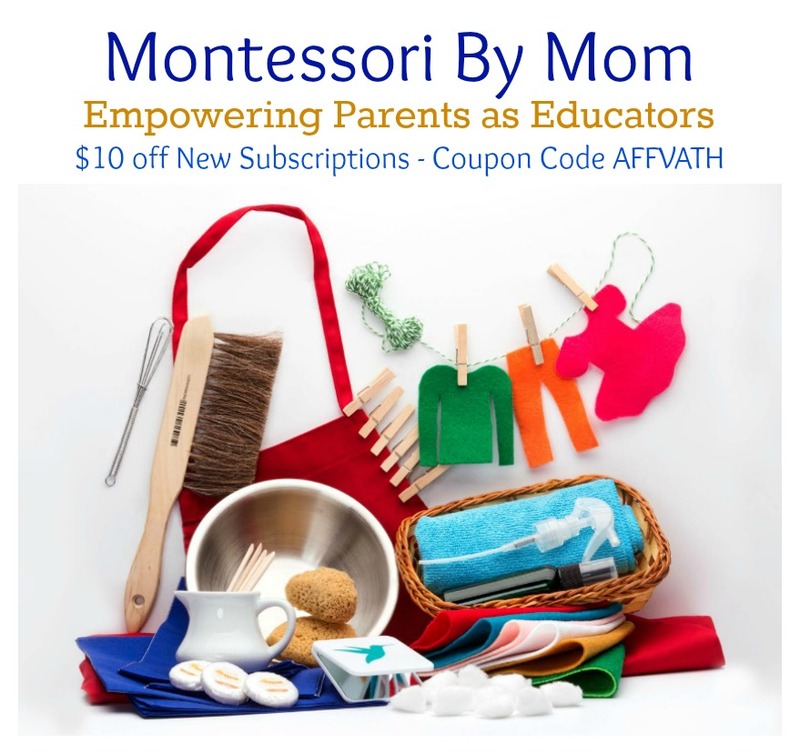 We are also trying to incorporate more Montessori philosophy and practices throughout are day…and again just wondering where and how to start. I do lay with both my kids to help them go to sleep. I only have so many years with my kids and I treasure these moments. They do not stay on their floor bed. Sometimes they sleep on the floor. It doesn’t seem to bother my children when they sleep on the floor. Just so you know… I am in the same spot as you are with two needy children who need me all day long! I am tired almost every day. I think it is just the young age that makes it so much work. I have a 18 month old and 4 year old. I wish I had the answers for you, but I am right there with you! I’m just trying to figure it all out too. How much educational material do you have on their shelves in the bedrooms? I’m worried that my 15month old would get distracted and want to play instead of sleep. Also, how do you make sure they sleep instead of play? I really don’t have anything except books and stuffed animals in my children’s rooms at this time. My son is now 5 years old and my daughter is almost 2 years old. 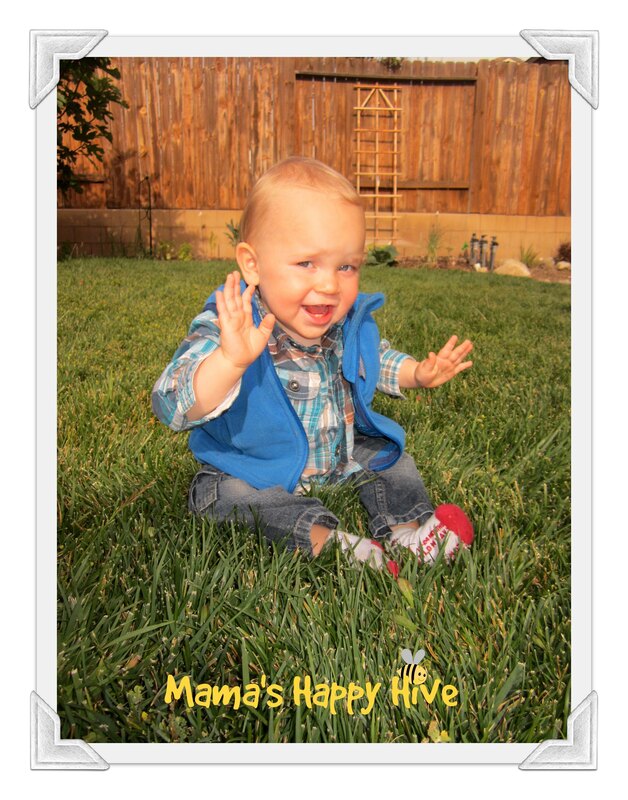 So this post was written when my son was 16 months old. 🙂 However, I have found that children will put themselves to sleep, when they are tired, even if they have materials in their room. This is great! Thank you. I was wondering about going to the fridge. We want our 19 month-old daughter to have the independence to choose what she wants from the fridge or pantry when she’s hungry, but it seems like she turns it into a game which has her frequently going to the fridge, asking for a snack but then not appearing to be hungry by just having a few bites or saying no to what I point to. Almost as if it’s a game to see if she can get us to open the fridge? I worry this “game” will lead to her snacking throughout the day or learning that she can gets whatever she wants by pointing and saying please. Any thoughts or experience with this? 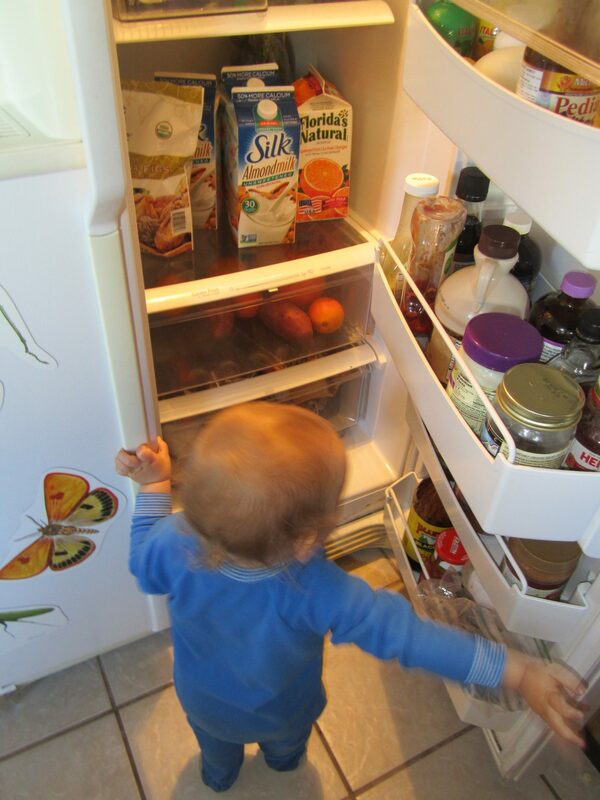 I think if your child has full access to the fridge… then you may need to accept that your child may snack throughout the day. My children have a snack drawer that they can access anytime of the day. They are 2 years old and 6 years old. My children mostly only eat three meals a day and usually only start looking in the snack drawer when they get hungry around meal times. I don’t have a mealtime only rule for eating. If my children are hungry, I allow them to eat even if that is outside meal times. I am not a very strict parent and my children don’t have a lot of rules. We do have a few that we enforce, but I am really lenient around snacking. This is a great question and I think it depends on your standards and parenting style.